What Are Civil Remedies Against Computer Hacking During a Divorce? Invasion of Privacy: Invasion of privacy occurs when one person intrudes on another person’s personal life or private affairs without consent. If a spouse engages in unauthorized inspection, misappropriation, or dissemination of the other spouse’s electronically stored personal information, such as emails or computer files, the intruded upon spouse may have a claim for invasion of privacy. Trespass to Chattels: A cause of action for trespass to chattels arises where one person intentionally interferes with another person’s lawful possession of personal property (“chattel” is a legal term for personal property). A spouse’s intentional and unauthorized use of the other spouse’s computer, cellular phone, or other electronic devices, such as accessing the other spouse’s email or personal information, may give rise to a claim for trespass to chattels. Conversion: The cause of action of conversion is similar to the cause of action of trespass to chattels, but conversion is a more serious invasion of another person’s personal property rights. Conversion occurs where one person intentionally converts another’s person property to his/her own use without prior authorization; in other words, an unauthorized assumption of another’s property rights in personal property. If one spouse interferes with the other spouse’s property rights in that spouse’s computer, cellular phone, or other electronic device, the intruding spouse may be liable for conversion. Examples include changing the other spouse’s passwords so as to block that spouse’s access to his/her own devices or infecting the other spouse’s devices with hacking software. Tortious Interference: A claim for tortious interference arises when one person purposefully damages or interferes with another’s business or contractual relationship with a third party, resulting in damages to that person. 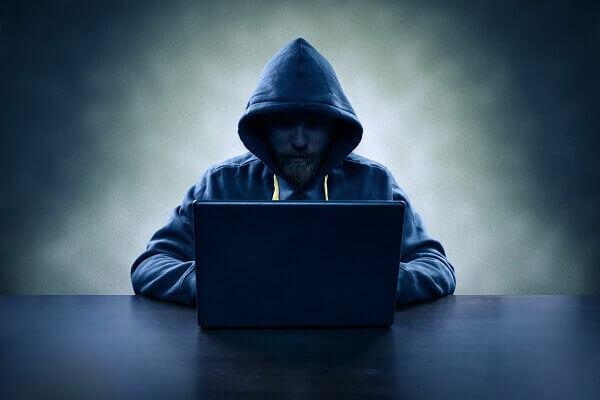 A spouse could have a claim for tortious interference if the other spouse uses email hacking or improperly obtained personal information to interfere with the first spouse’s business relationships. Defamation: Allegations of defamation arise from disseminating false statements, factually incorrect information, or disparaging comments about a person in a way that publicly damages another’s reputation. A spouse may allege defamation if the other spouse uses email hacking or computer hacking to publicly spread untrue or derogatory information. Password Protection: One very simple way you can protect yourself from computer hacking is regularly changing the passwords to your electronic devices and online accounts. Make sure not to share your passwords with anyone or keep them where someone might find them. Likewise, select security questions that would be difficult for someone who knows you to guess – you may even purposefully give a wrong answer to make it more difficult for others to access your devices. Firewalls: Another way to protect yourself from computer hacking is to set up a firewall. Firewalls are network security systems that monitor network traffic and block unauthorized access to a computer from internet sources. A firewall may prevent spyware from being installed on your computer or block hackers from accessing your computer. Encryption Software: Installing encryption software may also help you protect your electronic files and accounts. Encryption software encrypts and decrypts data so that it is useless to people or programs that intercept it. In effect, the data is illegible to anyone who does not have the proper decrypting program to view it. Oberheiden, P.C. has substantial experience prosecuting and defending privacy and hacking cases. Our attorneys, many of whom are former federal prosecutors, have appeared in state and federal courts in eavesdropping, interception, and hacking cases and have handled emergency injunction litigation, divorce pleadings, and other situations involving data security. Oberheiden, P.C. routinely advises clients and other lawyers in state and federal cases involving interception of data, hacking of computing devices, and privacy law violations. The following are some examples of our recent engagements in hacking cases. Successful Intervention on Behalf of Business Owner. Client Was Exposed to Hacking and Interception. We Obtained Restraining Order and Temporary Injunction and a Permanent Injunction as well as Seizure Orders. Successful Intervention on Behalf of Physician. Client Was Exposed to Hacking and Interception. We Obtained Restraining Order. Opposing Party Immediately Settled. Successful Intervention on Behalf of Executive. Client Was Exposed to Hacking and Interception. We Obtained Restraining Order. Opposing Party Immediately Settled. Successful Intervention on Behalf of Physician. Obtained Restraining Order Against Ex-Spouse Interfering with Client’s Current Job and Falsely Reporting Ethical Violations. Successful Intervention on Behalf of Business Owner. Opposing Party Settled Instantly After Our Firm Announced its Appearance. Successful Intervention on Behalf of Business Owner. Case Was Filed in U.S. Federal Court. All Illegal Activities Ceased When Our Firm Made an Appearance in the Case. Successful Intervention on Behalf of Healthcare Client Regarding Theft of Patient Files. Case Settled and Files Were Returned Immediately After Our Firm Made an Appearance. Successful Defense of Client Against Potential HIPAA Violation. Case Ended with No Civil and No Criminal Liability for Our Client. Successful Representation of Client in Massive Data Breach. Case Ended with No Civil and No Criminal Liability for Our Client. Questions about hacking? Call your experienced attorneys and discuss your case in a free and confidential consultation.